Now that Ubuntu 18.04.1 is out, have you upgraded from 16.04 LTS? The first point release came out July 26, and enables upgrades from 16.04 LTS. Have you upgraded your desktop? Server? Happy with it? Any pitfalls? I'm running Tildes on Ubuntu, so I'll probably give upgrading a shot before too long. I was mostly waiting for 18.04.1 to come out first, but it should be pretty easy to test by just trying to upgrade the Vagrant box to use 18.04.1 as a base and see what happens. I expect it should probably be okay, I'm not really doing anything that far out of the norm. Yeah, I know (that's what this thread's about). I just meant that I had been waiting for .1 to come out before I even tried testing Tildes on it. Maybe I shouldn't have though—it probably would have been a lot simpler to do the upgrade earlier, since the site wouldn't have been launched yet. Switching over the production server might be a bit scary. Ubuntu Long-Term Support versions emphasize stability. Given all the major changes in a .0 release, they strongly recommend waiting for the .1 release before migrating from a previous LTS version. As such, they disable automatic upgrades until the .1 release. 18.04 isn't bad, I just hate how they push gnome components as snap packages now. What possible reason do we need for the calculator to be a snap, when it takes three times as long to launch vs. the repo version, or even the Flatpak one? Sadly, I feel Ubuntu Gnome 16.04 was peak Ubuntu for myself, I've been on a distrohopping tear for the past year, and think I'll be staying with Fedora or Arch on my desktop and Debian on my rpi home server. That's a great point about the calculator. The first time I opened that application, I was puzzled why it took several seconds before launching. Then I remember hearing about packaging Calculator as a snap package in 18.04, so I removed the snap and replaced it with the repo version. I'm excited about the potential of snaps and flatpaks, but I don't think they should replace standard versions of applications until performance issues are squashed. That’s a shame - I’ve done some work with Snaps and I liked it, especially the permissions system, it’s unfortunate that startup times are so long. I've stuck with mint for quite some time, had a brief tenure with solusOS. Solus was good, and budgie is a great gui but for some reason downloads for everything in solus were so slow it was like being on dial up. It's only with solus also, mint is fine and downloads for updates and games are great and I love cinnamon. I would recommend mint to anyone who is trying to make the switch to Linux. The majority of my homelab is running on Ubuntu Bionic, even before 18.04.1. I've found it to be quite stable, I'm running KVM, some apache web servers with mariaDB back-ends. I've been meaning to check out Landscape. I chose Ubuntu because it is what I'm most comfortable with and I haven't had any regrets yet. I still use plain Debian Stretch for my daily driver though. I got tired of the six-monthly "will it upgrade cleanly or won't it" gamble with Ubuntu, I switched back to Debian a while ago and am much happier. I'd never run Ubuntu on a server, personally, but if it's working for you, cool. All my home servers are Arm these days anyway, so Debian is the only real option. What kind of ARM hardware are you running your home servers on? Mostly RPi systems: three Pis of various flavours - printserver for the 3D printer, smart jukebox/streaming box which got mostly replaced by a Chromecast, ShedServer which mostly does environmental control for my (ahem) "indoor gardening" project - plus I have a Vero HTPC, which does various NAS-like and webservery things in addition to doing TV. I don't need a lot of compute power for my home systems, cheap and low power is much more important. Plus I do enjoy tinkering with hardware. Why wouldn't you run Ubuntu Server on a server? I mean sure, there are other options, but Ubuntu has gained massive ground in cloud infrastructure. It is actually the most used Linux variant on public facing servers (https://en.wikipedia.org/wiki/Usage_share_of_operating_systems#Market_share_by_category). In my anecdotal experience, I've never had an Ubuntu upgrade break anything on server or desktop. The question isn't so much why wouldn't I run Ubuntu - and I'm sure it runs just fine, just like Suse and RHEL and Arch and everything else - the question is more why would I run anything but Debian? Ubuntu adds nothing I need that Debian doesn't already do perfectly well. I'm sure there are cases when Ubuntu is the best choice, but I haven't encountered one of those cases yet and as I've been out of the professional sysadmin/devops game for a little while now, that seems unlikely to happen now - my server needs these days are based in my house rather than a datacentre. Anecdotally I've had at least a few desktop Ubuntu dist-upgrades go badly enough to need reinstalling. Enough to make me go back to Debian. Has anyone upgraded from an older version without re-installing? I remember that years ago, when I used Ubuntu, you were better off just backing up your data and re-installing the new version, since the upgrade process had so much potential for failure. That’s one reason I’m on a rolling release distro now (Arch), no big upgrades. I upgraded systems to 18.04 from 16.04 both directly and through the non-LTS releases. I did, since quite some time at this point (I think I updated nearly after the release) and didn't had a problem. Oh well, I suppose I had an issue with the fonts rendering in electron based apps but it was a bad update for one of the library the font was being served from. Not something directly out of the Ubuntu update. So I'm a bit of a linux noob, I only use it on an old laptop. What are the advantages of Ubuntu vs Kali? So far I like Kali because of all the neat programs, but I would assume most of those are available for Ubuntu as well? How is it on security? Kali isn't really meant to be used as a day-to-day operating system, but rather as a set of penetration testing / forensics tools that you can boot into without modifying the hard drive. It's not meant as a "high security" linux distro, but rather a "breaking other people's security" linux distro. It's a tool for a specific purpose, which it's very useful for, but only that purpose really. All those neat programs are available for pretty much every distro of linux. On some distros they may be more difficult to install than others, but Ubuntu is considered a very easy distro to use. It's widely supported, so things usually just work. Both Kali and Ubuntu are based off Debian, so any distro-specific commands you learned using Kali will probably be the same in Ubuntu. Will I get better performance if I switch over to Ubuntu? Not necessarily, but you really shouldn’t use Kali if you don’t know what you’re doing; adding onto what @pseudolobster said, it’s actually quite insecure when used for general purposes as it runs everything as root. See their official “Should I Use Kali Linux?” document for more information. You and ~Ash have convinced me to switch on over to Ubuntu, thanks! Check out Linux mint, it's an Ubuntu distro made for simplicity and ease of use. Or check out solusOS, it's really good also. Is Mint really that much easier to use than Ubuntu? I've been using Linux as my main OS for a year now, with no prior experience and I just find that everything works for the most part and is very intuitive. Because it is so popular and has been around for so long, I find it so easy to troubleshoot. I don't have experience with other distros, because Ubuntu just works for me. So I've never had a reason to switch to something else. I do web development and was pleased to find Ubuntu to be easier than both Mac OS and Windows. I love it. Is Mint that much easier to use and troubleshoot to make the switch? I think it's easier, the best way I can describe Mint is that it's what Windows XP would be if Microsoft kept modernizing it and improving upon it. I would say web development would be about the same, I just like all the tools and utilities Mint provides like their mint sources app for managing repos and PPA's and mint updates. 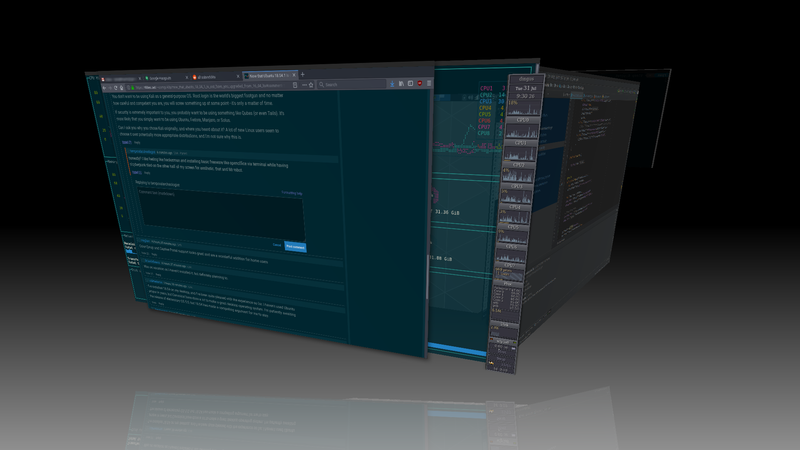 I also like Cinnamon more than Ubuntu's Unity style interface. My professional opinion is: "mayhaps". Theoretically, given Ubuntu's (and its brethren's) vast market share and hence community and development team, an Ubuntu distro will be more compatible with more hardware, meaning there's a greater chance that running it over Kali (or other even less common distros) will both recognise and make better use of your specific hardware's nuances and unique functionalities. At the very least, installing it (especially an LTS release) will mean you have a better chance of the correct (and stablest) drivers for your hardware and peripherals being installed right off the bat, instead of you having to go searching for (and maybe even compiling) them yourself, post-installation. The above statement has caveats, of course, but as a general rule of thumb, the more popular a distro is, the more compatible it is with more (especially older) hardware. You don't want to be using Kali as a general-purpose OS. Root login is the world's biggest footgun and no matter how careful and competent you are, you will screw something up at some point - it's only a matter of time. If security is extremely important to you, you probably want to be using something like Qubes (or even Tails). It's more likely that you simply want to be using Ubuntu, Fedora, Manjaro, or Solus. Can I ask you why you chose Kali originally, and where you heard about it? A lot of new Linux users seem to choose it over potentially more appropriate distributions, and I'm not sure why this is. honestly? I like feeling like hackerman and installing basic freeware like openoffice via terminal while having r/cyberpunk tiled on the other half of my screen for aesthetic. that and Mr robot. Heh, I get that. I've been using linux for 20 years now, and making myself look like hackerman is still a big part of why I use it. That said, I'm using debian, because kali really is only for one thing, not day-to-day use. just switched over to ubuntu, much more accessible and easier to get things downloaded! Just an FYI, OpenOffice isn't freeware,* it's open-source or "free as in freedom" (freeware is typically used to label "free as in beer" but proprietary software). As an aside, you might want to check out the LibreOffice fork of OpenOffice - it's more actively developed AFAIK. * Looked it up, open source software can be called freeware but it's an insult more than anything else. Fair enough, I can definitely understand that. Since 18.04 is LTS, I upgraded. Nothing really is different for me. I use gnome-flashback and Compiz, because I need my spinning cubez. I should probably make the jump to Arch or something so that in 6 years time, I can still have my spinning cubez, and not be beholden to whatever whims Cannonical might whip up. Upgraded my dev server. Old package versions in 16.04 were problem for me. Not anymore. Was on vacation so I haven't installed it, but definitely planning to. 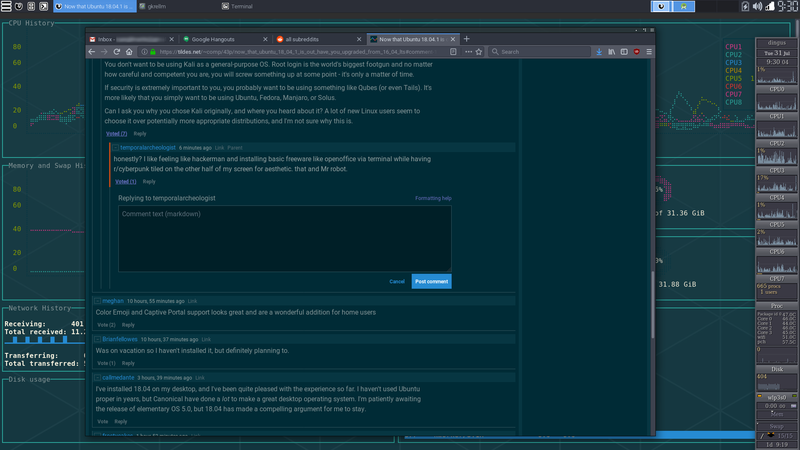 I've installed 18.04 on my desktop, and I've been quite pleased with the experience so far. I haven't used Ubuntu proper in years, but Canonical have done a lot to make a great desktop operating system. I'm patiently awaiting the release of elementary OS 5.0, but 18.04 has made a compelling argument for me to stay. Another is my Kodi computer. I'll probably upgrade it soon, but I'm not looking forward to it. That thing has years worth of tiny tweaks applied that are probably going to break with 18.04. Nope, still on Xenial. I just can't stand GNOME nowadays - I'll probably end up using MATE or something, or maybe even i3 if I can find the time to learn it. If you can't stand GNOME, I take it you don't use Unity either? I do actually use Unity, and I really like it for the most part. I consider myself a Linux pro, used Slackware and Arch back in the day, but with Ubuntu...it feels like a pain to upgrade from whatever LTS version I'm on. I'm curious to check it out but at the same, 16.x LTS is working fine for me and don't want to waste time on upgrading things when there's work to be done. Is there nowadays any appealing argument for using Ubuntu and not Debian on servers? What are the advantages of using Ubuntu instead of Debian on server? I'm assuming stable version on server. I can see some pros on desktop: It's still easier to use because it's better configured by default. Also it's more stable than Debian testing but has fresher versions of packages than Debian stable. I'm myself using Debian stable on my VPSes and testing at home. From my perspective testing on desktop is quite stable nowadays, more stable than eg. 2 yeas ago thus it's safe to use. Also it works as rolling release for me which I like a lot. Package versions are often fresher then in current non LTS Ubuntu and I don't have to play with big, inplace upgrades from version to version. Ubuntu is great if you don't have a dedicated sysadmin, which means it's perfect for startups. Spin up a server with minimal effort, keep configuration needs to a minimum, and don't worry about having to swap out for a new version for up to 5 years. As the only programmer at a new startup, it's a godsend. I installed Kubuntu 18.04, and it simply didn't boot. I had other things to do, so I came back to MX Linux. 18.04.1 worked fine, but I don't have a reason to switch, I'm just curious about Ubuntu because it was my first successful distro. 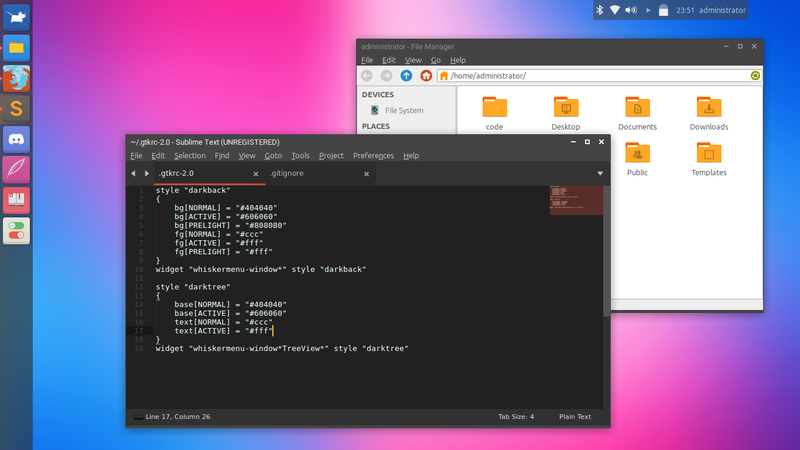 LastPass had a strange glitch that prevented clicking its login box in Firefox on Ubuntu 18.04 that seemed specific to its GNOME setup (glitch not present in 16.04, 18.04 with other DEs, or GNOME on other distros to my knowledge). I've always kind of avoided GNOME, but when I installed a test machine and couldn't even get my password database to work right on my preferred browser, I just decided to swap DEs and use Xubuntu instead. Got it all set up to look kind of like Unity, just without the extra stuff I didn't need. I'm really enjoying it!